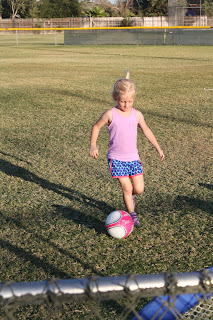 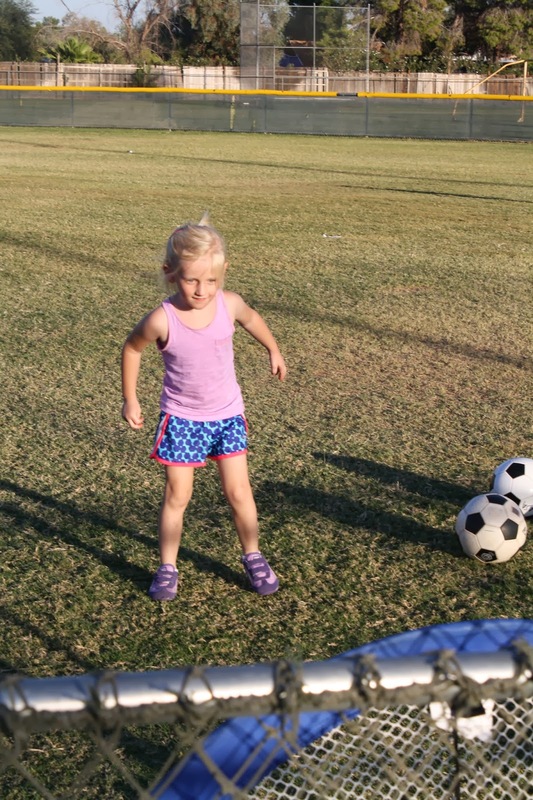 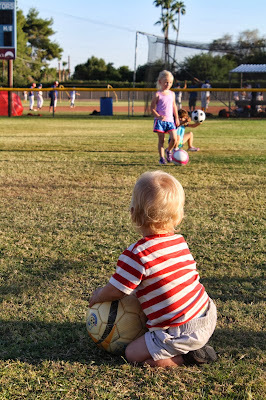 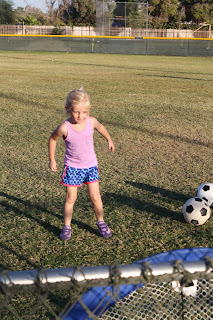 Lily started soccer again this year, and is loving it. 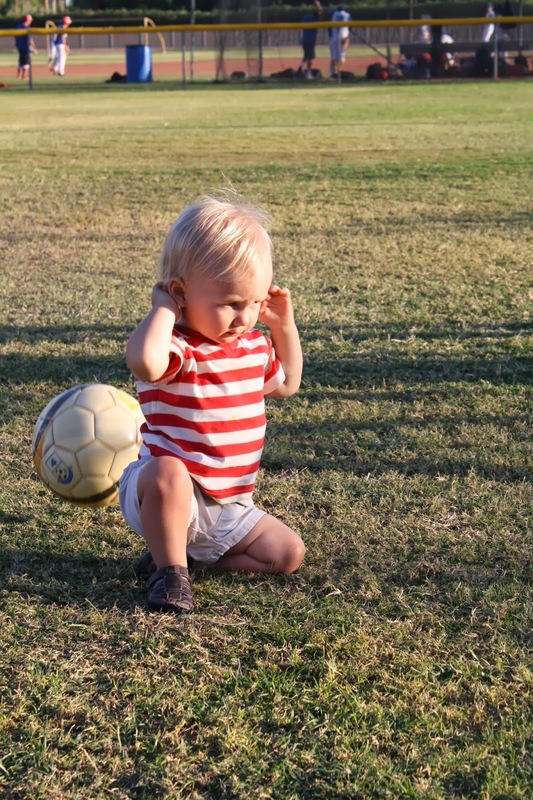 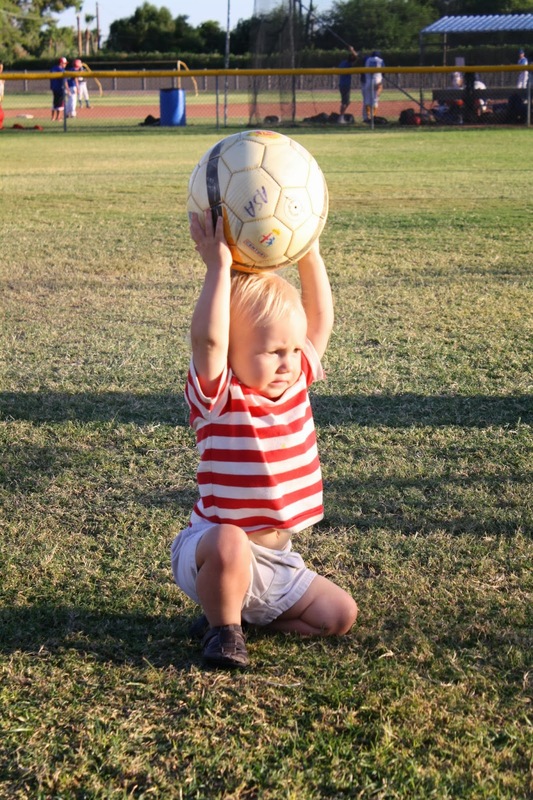 William Tommy thinks he should be able to play too! he throws and chases all day long, and pretends to throw when he can't find one. 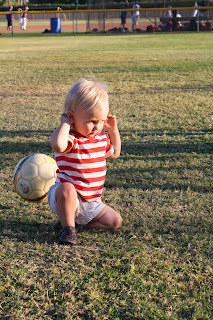 All boy, all the time!